More than 12 million Americans are affected by sleep apnea, according to the National Institute of Health. 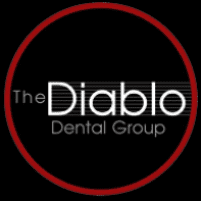 The The Diablo Dental Group team knows how frustrating and uncomfortable it can be to snore and wake up multiple times throughout the night. That’s why they offer a number of sleep apnea treatments at their office in beautiful Danville, California. Call or book an appointment online today for more information. The most common form of sleep apnea, OSA occurs when there is a blockage in the airway, typically when the soft tissue in the back of the throat relaxes and collapses during sleep. Unlike OSA, central sleep apnea is not caused by a blockage in the airway. Instead, it occurs when the brain fails to signal the muscles to breathe during sleep. Complex sleep apnea develops in patients who have both OSA and central sleep apnea. In rare cases, patients with OSA can develop central sleep apnea during treatment. Without proper treatment, sleep apnea can lead to serious medical problems such as high blood pressure, diabetes, heart disease, and stroke, so it’s important to seek medical attention right away if you are experiencing any of the above symptoms. Mandibular advancement devices (MADs), which looks similar to a sports mouth guard, fit over your upper and lower dental arches to push the lower jaw slightly forward. This helps prevent the soft tissue in the back of your throat from collapsing and blocking your airway. Likewise, a tongue-retaining device has a small piece that fits around your tongue to stop the soft tissue from collapsing. A CPAP device is the most effective treatment for sleep apnea. To try this treatment, you must wear a mask over your mouth at night. This mask is connected to a machine that continuously pumps air into your mouth and nose, preventing you from failing to breathe throughout the night. To learn more about your sleep apnea diagnosis and treatment options, call The Diablo Dental Group or book an appointment online today.